Do you know the 5 best traffic sources for plastic surgery practices? You should, because you want to focus your marketing efforts on the most productive sources to get the most out of your advertising budget. 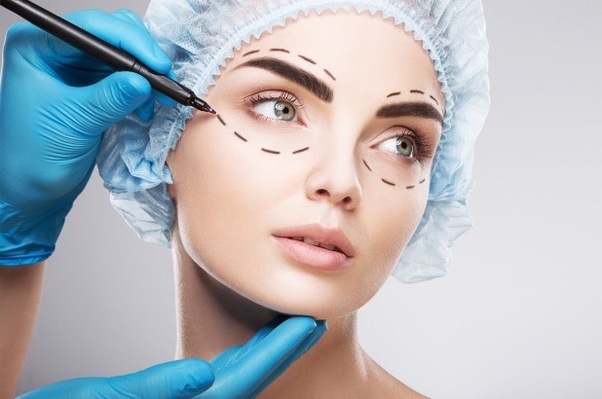 Whether you plan to do your advertising yourself or search out marketing advice for plastic surgeons from a reputable agency, here are our picks for the 5 best traffic sources for plastic surgery practices so you can optimize your advertising efforts. Twitter can be a bit of a double-edged sword when it comes to marketing strategy and traffic sources for plastic surgery practices. As a positive, 94% of followers plan to make a purchase from businesses they follow, and 69% of users have bought a product they’ve seen on a Twitter post. You can interact directly with potential patients (or even former patients) for free and develop a following that way. For a bit of an extra punch, you can invest in Twitter ads to promote your plastic surgery practice to Twitter users in your area who may be interested in your services. On the other hand, one wrong move on Twitter can go viral and become a PR nightmare. A poorly-worded or ill-timed tweet can do irreparable damage to your brand, and some users are wary of brands that try to co-opt the Twitter culture. Still, the ROI (return on investment) of Twitter ads with a strong call to action (CTA) is hard to deny, making Twitter worth the risk. According to Wyzowl statistics, 63% of businesses have added video content marketing to their strategy. With video marketing, a business creates a short (2-5 minute) video about a specific topic related to their business and uploads it to YouTube and other video sharing platforms. More than 4 out of 5 businesses believe their video content marketing brings them a good ROI. While Facebook is falling out of favor with the younger generations, it’s still the most popular social media platform in the world with more than 2 billion users. In a 2016 survey, 95.8% of social media marketers worldwide said Facebook had the best ROI of any social media marketing. Facebook ads give you a ton of different options to create the ideal ad campaign to attract clients from your preferred demographic. For example, you could target women of a certain age who live within a 30-mile radius of your practice’s location who are interested in beauty and fashion. Other traffic sources are hard-pressed to give you that kind of specific demographic targeting. SEO stands for search engine optimization, and the goal is to get your website a front-page placement for specific keywords that your potential patients would be searching for. This results in natural traffic that you aren’t directly paying to attract to your site. SEO can be very effective, but it can also be rather difficult. Google and other search engines like to change their algorithms from time to time, so your search engine ranking could be affected without any notice. It can also be difficult to know which SEO best practices are being used with any current algorithm, so you’re usually better off paying a professional to manage your SEO rather than trying to handle it yourself. Google Adwords, a pay-per-click (PPC) advertising service, has been a staple of internet advertising since 2000, the early days of the internet. Google Adwords can be an effective traffic source if it’s used well. The key to using Google Adwords is finding and optimizing the best keywords for the best price. Some keywords are cheap and cost less than $3 any time somebody clicks on the ad, while other keywords may cost triple that. Ads are featured on the Google Display Network, which reaches 90% of the people on the internet, leading to a great potential to attract potential patients to your page. However, even many people who don’t use ad blockers tend to ignore ads to the side of their desired content, so you may not get the results you’re looking for, making Google Adwords a little hit or miss. Is the extra expense worth the additional traffic? You need to crunch a lot of numbers to decide what’s best for your plastic surgery practice. Now that you know the 5 best traffic sources for your plastic surgery practice, you know where to focus your marketing efforts, whether you do your own marketing or you hire a reputable agency to manage your advertising. Marketing may be more complicated now than it was before the internet, but it’s also arguably more effective now that you can target ads at more specific audiences for the best results. Hopefully, this information will help you optimize your marketing efforts and bring in more patients.